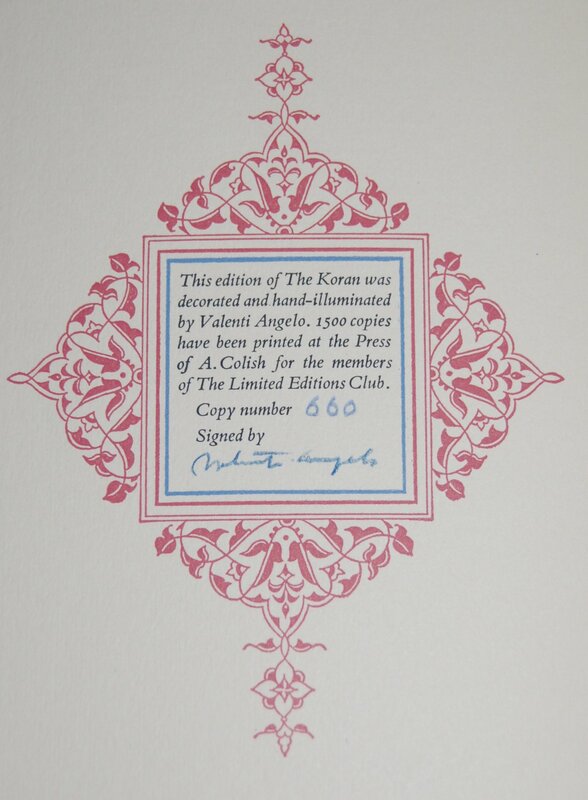 ATTENTION – Images for the Limited Editions Club edition of the Koran lie below. Out of respect for some practitioners of the Islamic faith, I am placing this warning here to minimize accidental viewing of photographs of this edition. I will be placing an image in between this note and the gallery as a buffer (it is black like the background so it should not be super noticeable) in case you do not wish to see the images. Thank you for your understanding. 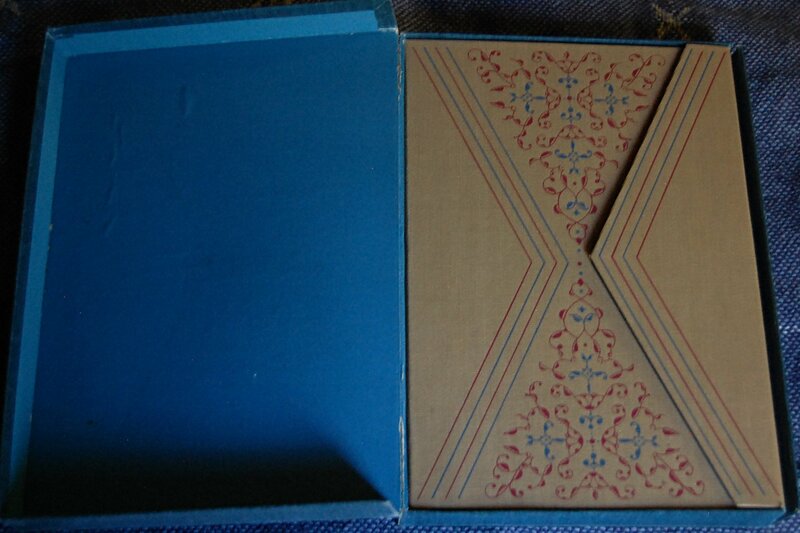 Solander Box and Front Binding – The book is stored in this solander box covered in blue cloth. 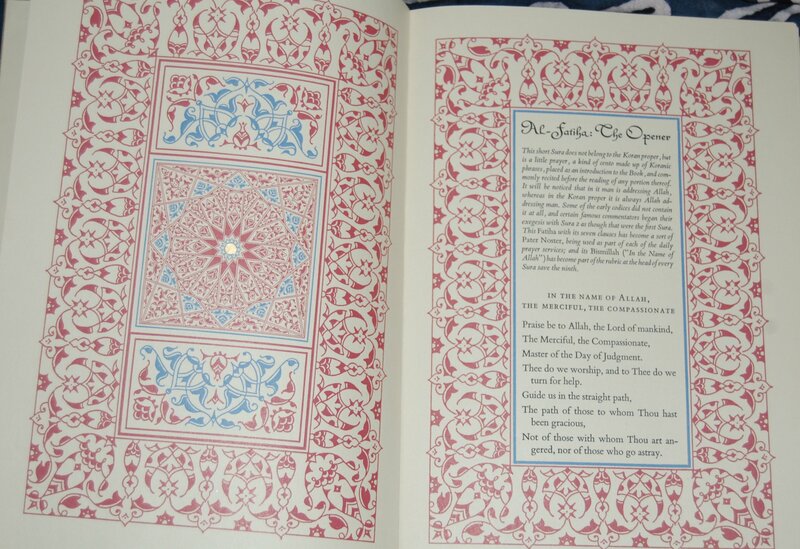 The front binding gives a great first impression, and highlights Angelo’s gift for decoration. The rightmost triangle is actually a flap the helps keep the book closed; a rather elegant choice. 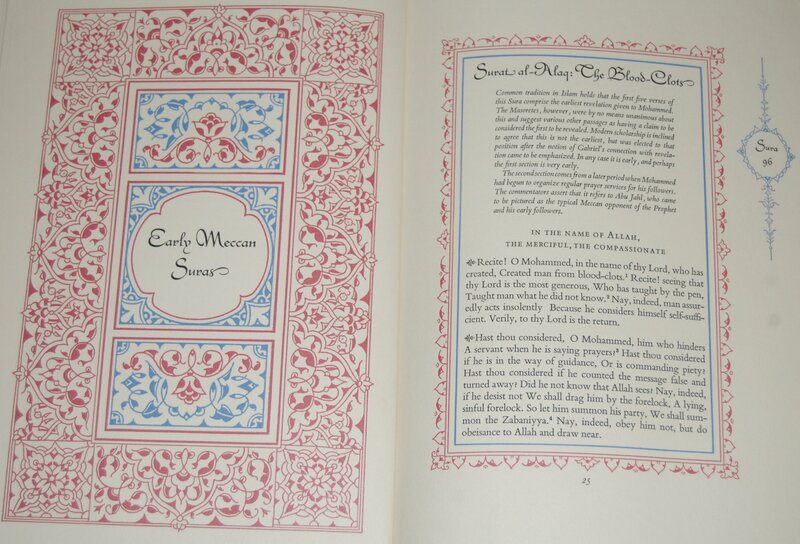 Title Page – As noted earlier, Jeffrey serves as the translator for the Koran, and also provides an introduction. Colophon – This is copy 660 of 1500 and features Angelo’s signature. Pages 22-23 – Beautiful work from Angelo here. 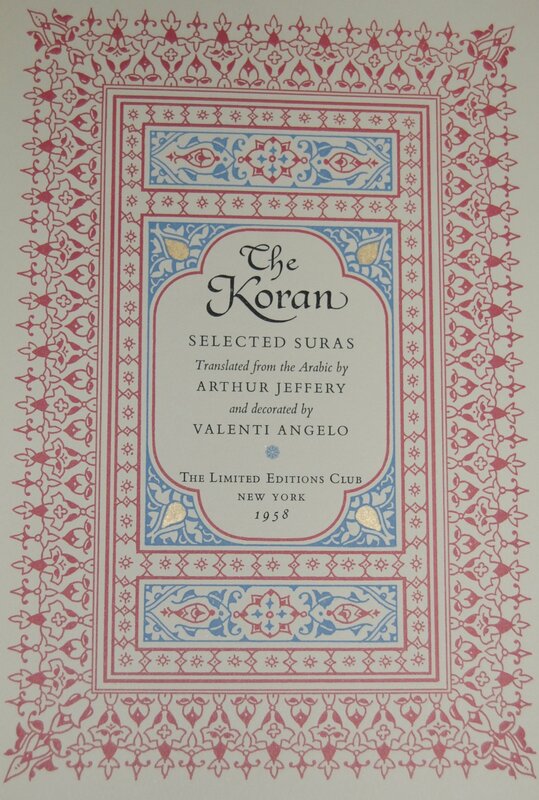 You are currently reading Limited Editions Club: Selections from The Koran (1958) at The George Macy Imagery.